Low 25-hydroxyvitamin D levels predict future cardiovascular events and are common in patients with type 2 diabetes. 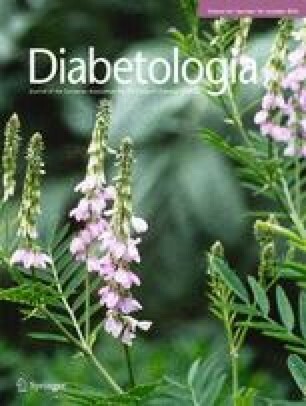 We compared the effect of 100,000 and 200,000 IU doses of vitamin D3 on endothelial function, blood pressure and markers of glycaemic control in patients with type 2 diabetes. This was a randomised, parallel group, placebo-controlled trial. Patients with type 2 diabetes and baseline 25-hydroxyvitamin D levels <100 nmol/l were enrolled from community and hospital-based diabetes clinics. Participants were assessed in a university department of clinical pharmacology and received a single oral dose of placebo or vitamin D3 (100,000 IU or 200,000 IU) at baseline, randomly allocated via numbered bottles prepared offsite; participants and investigators were both blinded to treatment allocation. Endothelial function, office blood pressure, B-type natriuretic peptide, insulin resistance and glycosylated haemoglobin were measured at baseline, and at 8 and 16 weeks. We randomised 61 participants to the three groups (placebo 22, 100,000 IU vitamin D3 19, 200,000 IU vitamin D3 20). There was no significant difference in the primary outcome of endothelial function at 8 weeks (placebo 5.2%, n = 22; 100,000 IU 4.3%, n = 19; 200,000 IU 4.9%, n = 17) or at 16 weeks. Insulin resistance and glycosylated haemoglobin did not improve with either dose of vitamin D3. On covariate analysis, systolic blood pressure was significantly lower in both treatment arms than in the placebo group at 8 weeks (placebo 146.4 mmHg, 100,000 IU 141.4 mmHg [p = 0.04 vs placebo], 200,000 IU 136.8 mmHg [p = 0.03 vs placebo]). B-type natriuretic peptide levels were significantly lower in the 200,000 IU group by 16 weeks (placebo 34 pg/ml, 200,000 IU 21 pg/ml, p = 0.02). No significant excess of adverse effects was noted in the treatment arms. High-dose vitamin D3 improved systolic blood pressure and B-type natriuretic peptide levels, but not endothelial function, insulin resistance or glycosylated haemoglobin in patients with type 2 diabetes. Diabetes UK, grant number 06/0003429. M. D. Witham is funded by a Scottish Government NES/CSO Clinician Scientist Award. A substantial body of observational evidence now links low vitamin D levels with type 2 diabetes mellitus. Low vitamin D levels are common in patients with type 2 diabetes , over 50% of whom have a serum 25 hydroxyvitamin D (25OHD) level of <50 nmol/l [2, 3]. Low vitamin D levels are associated with a higher risk of developing type 2 diabetes , worse glycaemic control in type 2 diabetes, higher serum lipid levels and a higher prevalence of cardiovascular disease . Low vitamin D levels are also associated with an increased risk of hypertension and cardiovascular events in population-based studies [5, 6, 7, 8]. Data on the effects of vitamin D supplementation in patients with type 2 diabetes are less clear-cut. A number of small studies failed to show any improvement in glycaemic control or indices of insulin sensitivity during supplementation [2, 9, 10], although supplementation in patients with impaired glucose tolerance but without frank diabetes did successfully improve insulin resistance in two trials [10, 11]. Our previous work  has shown that a single large dose of vitamin D2 (100,000 IU orally) improved blood pressure and endothelial function (a key surrogate marker of cardiovascular risk) at 8 weeks post dose in patients with type 2 diabetes and baseline 25OHD levels below 50 nmol/l. The positive effects of vitamin D supplementation on endothelial function have since been confirmed in a non-diabetic population . Endothelial function is an important surrogate marker for future cardiovascular events; almost all interventions that reduce cardiovascular events also improve endothelial function, although some that improve endothelial function (e.g. hormone replacement therapy) do not reduce cardiovascular events because of adverse effects on other biological systems . Despite these promising findings, the optimum dose of vitamin D to produce beneficial effects on the cardiovascular system is unclear. The question therefore arises as to whether a larger dose of vitamin D would produce greater improvement in surrogate markers of cardiovascular disease and might also improve measures of glycaemic control, which was unchanged in our previous study. Our previous work was on patients with 25OHD levels below 50 nmol/l. For optimum health, levels of 25OHD above 75 nmol have been postulated to be necessary . Thus we also tested whether patients with higher baseline 25OHD levels might benefit from vitamin D supplementation. We performed a randomised, placebo-controlled, double-blind parallel-group trial. Participants aged 18 years and over with a diagnosis of type 2 diabetes mellitus according to the World Health Organization were recruited from primary care and secondary care diabetes clinics by the attending clinician assisted by the study research nurse. Patients were excluded if they were already taking vitamin D supplements and had: a serum 25OHD level of >100 nmol/l; serum creatinine >200 μmol/l; liver function tests (alanine aminotransferase, bilirubin, alkaline phosphatase) >3 times the upper limit of the local reference range; albumin-adjusted calcium >2.55 mmol/l or <2.15 mmol/l; and a history of sarcoidosis, renal calculi or metastatic malignancy. Patients unable to give written informed consent were excluded, as were women of childbearing potential who were pregnant, lactating or not undertaking effective contraceptive measures. Each participant was enrolled for 16 weeks. Ethical approval was obtained from Tayside Research Ethics Committee (number 07/S1401/101). Written informed consent was obtained from all participants and the study was conducted according to the principles of the Declaration of Helsinki. Participants were randomised to one of three parallel groups: (1) placebo; (2) vitamin D3 100,000 IU; and (3) vitamin D3 200,000 IU. Medication (Vigantol oil, 20,000 IU vitamin D3/ml) and placebo (Miglyol oil) were provided by Merck, Darmstadt, Germany, and were bottled and labelled by Tayside Pharmaceuticals, Dundee, UK. Tayside Pharmaceuticals prepared a computer-generated randomisation code stored in sealed envelopes until the end of the study. Each participant was given the next numbered medication bottle in sequence to preserve allocation concealment. Participants ingested the medication in the presence of the researchers to ensure 100% adherence. The participants and the research team remained blinded to treatment allocation until after the main analyses were completed. Outcome measures were performed at baseline (immediately prior to dosing), and at 8 and 16 weeks. Endothelial function was assessed by measuring flow-mediated dilatation (FMD) of the brachial artery in response to hyperaemia (endothelium-dependent vasodilation) . An ultrasound machine (Sequoia 512; Siemens, Camberley, UK) with 8 MHz linear array probe was used. Brachial artery diameter and flow were determined by M-mode and Doppler ultrasound; diameter was measured using Vascular Research Tools software (Medical Imaging Applications LLC, Coralville, IA, USA). The mean diameter was measured during baseline acquisition and compared with the maximum diameter achieved in the 2 min after cuff deflation. FMD was expressed as the percentage change from baseline diameter. The change in FMD between baseline and 8 weeks was assessed as the primary outcome. Office blood pressure measurements were taken using an oscillometric system (HEM-705CP; Omron, Henfield, UK). Measurements were taken after 10 min in the supine position. The mean of the second and third readings was recorded. Fasting (minimum 6 h fast) venous blood was drawn after 10 min in the seated position for measurement of B-type natriuretic peptide (BNP), renin, aldosterone, calcium, albumin, parathyroid hormone, insulin, glucose, HbA1c and 25OHD. Serum 25OHD was measured by ELISA (IDS, Boldon, UK). The interassay coefficient of variation was 12%. BNP samples were collected into chilled aprotinin bottles, spun for 10 min at 1,137 g and stored at −70°C. BNP was measured in batches using a radioimmunoassay (Bachem, St Helens, UK). Intra-assay coefficient of variation was 12.5%. Renin and aldosterone were spun for 10 min at 1,137 g and the supernatant fraction was stored at −20°C prior to batched analysis using radioimmunoassay kits (Diasorin, Bracknell, UK). The intra-assay coefficients of variation were 4% and 6%, respectively. Fasting insulin and glucose measurements were used to calculate HOMA  using the formula: fasting glucose (mmol/l) × fasting insulin (pmol/l)/156. Baseline data on comorbid disease, medication, height and weight were collected. Daily dietary calcium intake was ascertained using a food questionnaire analysed using values derived from McCance and Widdowson’s Composition of Foods dataset . All adverse events, including hospital admission, morbidity and death were recorded. Data were analysed using SPSS 15.0 (SPSS, Chicago, IL, USA). Each active group was compared with placebo separately. Similarly, each follow-up time point was analysed separately, as the effect of vitamin D was anticipated to vary non-predictably over time. Differences between groups were compared using analysis of covariance (ANCOVA), with baseline values of 25OHD and the outcome under study as covariates. For FMD and BNP analyses, baseline systolic blood pressure was included as an additional covariate. Values for BNP were not normally distributed and were therefore log-transformed prior to ANCOVA testing. Analyses were by intention to treat with the exception that participants who were unable to attend a follow-up visit were omitted from analysis for that time point only. Imputation was not performed to account for these missing values, as data were not missing at random; no adjustment was made for multiple testing. The study was powered to detect a 2% absolute difference in FMD between the placebo and 100,000 IU groups at 8 weeks. Exercise training and statin therapy (which are known to reduce the risk of cardiovascular events) have been shown to produce an improvement of at least 2% in brachial artery FMD [18, 19]. To detect this change with 80% power, assuming a standard deviation of change of 3% as found in our previous work  and alpha = 0.05, requires 27 participants per group. We therefore aimed to recruit 90 patients (30 per group) to allow for 10% dropout over the course of the study. We screened 70 participants for inclusion in the study. Of these 70, 68 (97%) had baseline 25OHD levels <100 nmol/l; 64 of 70 (91%) had levels <75 nmol/l and 49 of 70 (70%) had levels <50 nmol/l. A total of 61 participants were randomised, of whom 58 (95%) attended the 8 week and 16 week follow-up visits. Figure 1 depicts participant flow through the study. Baseline details are given in Table 1. No substantial between-group differences in baseline values were noted. Levels of statin use and renin–angiotensin system blocking drugs were high in all groups. All groups had baseline mean systolic blood pressures above target range for type 2 diabetes. Three patients changed antihypertensive medications between baseline and 8 weeks (one increased ACE inhibitor dose in the placebo group, one decreased ACE inhibitor dose in the placebo group and one started diltiazem in the 100,000 IU group). A further three patients changed antihypertensive medications between 8 weeks and 16 weeks (one started furosemide in the 100,000 IU group, one increased lisinopril dose in the placebo group and one stopped indoramin and commenced dexamethasone in the placebo group). Tables 2 and 3 show the outcome measures at 8 and 16 weeks, respectively. Despite increases in 25OHD levels in both supplemented groups, endothelial function as measured using FMD did not differ significantly between groups at 8 or 16 weeks. After adjustment, between-group differences in FMD change at 8 weeks remained non-significant (placebo vs 100,000 IU −1.0% [95% CI −2.9, 0.9], placebo vs 200,000 IU −0.3% [95% CI −2.3, 1.8]). Change between baseline and 16 weeks was also non-significant (placebo vs 100,000 IU 0.2% [95% CI −1.2, 1.5], placebo vs 200,000 IU 1.3% [95% CI −0.1, 2.7]). Systolic blood pressure fell significantly between baseline and 8 weeks in both treatment groups compared with placebo (placebo vs 100,000 IU −8.2 mmHg [95% CI −16.2, −0.2], placebo vs 200,000 IU −9.3 mmHg [95% CI −17.5, −1.1]), but no significant differences in diastolic blood pressure were seen between baseline and 8 weeks (placebo vs 100,000 IU −2.5 mmHg [95% CI −7.6, 2.5], placebo vs 200,000 IU −3.2 mmHg [95% CI −8.4, 2.0]). By 16 weeks, BNP levels fell significantly in the 200,000 IU group compared with placebo. The changes in blood pressure were not mirrored by changes in renin or aldosterone levels; there was no significant change in renin levels at 8 weeks compared with baseline (37.9 vs 7.1 pmol/l/ for 100,000 IU vs placebo, p = 0.28; −54.5 vs 7.1 pmol/l/ for 200,000 IU vs placebo, p = 0.07). Similarly, aldosterone levels did not change significantly at 8 weeks compared with baseline (119 vs 39 pmol/l for 100,000 IU vs placebo, p = 0.31; −19 vs 39 pg/ml for 200,000 IU vs placebo, p = 0.28). Glycaemic control as measured by HbA1c did not change in any group, and insulin resistance as measured by HOMA did not improve significantly in the supplementation groups compared with placebo. No excess of side-effects was seen in either of the vitamin D groups; in particular, no participant developed hypercalcaemia (adjusted calcium >2.60 mmol/l) during the study. Four adverse events were recorded in the placebo group (diarrhoea, decompensated heart failure, hyperkalaemia, death from myocardial infarction), five in the 100,000 IU group (two urinary tract infections, two respiratory tract infections, one diarrhoea) and one case of asymptomatic bradycardia was noted in the 200,000 IU group. Neither dose of vitamin D in this study significantly improved endothelial function as measured by FMD, relative to placebo, although a modest improvement in FMD was seen at 16 weeks in the 200,000 IU group. After adjustment for baseline differences, both doses of vitamin D3 caused a statistically and clinically significant fall in systolic blood pressure, but not diastolic blood pressure. Although the 200,000 IU dose of vitamin D3 caused a larger increase in 25OHD levels, the magnitude of the blood pressure change was similar in both the 100,000 and 200,000 IU treatment arms. The effect of the single large dose of vitamin D on 25OHD levels persisted at 16 weeks, but the effect on blood pressure was attenuated at this time point. BNP, a powerful surrogate marker of cardiovascular risk, fell significantly by 16 weeks in the 200,000 IU intervention group. No significant effect of vitamin D supplementation on HbA1c or insulin resistance, even at the higher dose of vitamin D, was evident. Strengths of our study include the double-blind randomised controlled design, 100% adherence to study medication and the measurement of a range of vascular and glycaemic indices. Participants in this study were receiving high levels of statins and ACE inhibitors at baseline, suggesting that they were representative of current standards of care. Furthermore, we enrolled participants with a wide range of baseline 25OHD levels, enhancing the generalisability of our findings. The study did not achieve its recruitment goal due to staff illness and subsequent time constraints within the study, but the minimum clinically important threshold of 2% improvement in FMD lies outside the 95% confidence limits at 8 weeks and is only just within the confidence limits at 16 weeks. It is therefore unlikely that low patient numbers explain the lack of effect of vitamin D supplementation on the primary outcome of FMD. The wide confidence intervals do not, however, exclude a potentially deleterious effect on FMD at 8 weeks, nor do they encompass a deterioration of 2% at 16 weeks for either treatment group. The confidence intervals surrounding change in blood pressure values are wide due to the small size of the study, and larger studies will be needed to give a more precise estimate of effect on blood pressure reduction. The magnitude of the fall in systolic blood pressure was similar to that seen in our previous study . Our findings are also consistent with a recently published meta-analysis , which reported a small reduction in blood pressure with vitamin D therapy, but only in studies with a mean baseline systolic blood pressure of >140 mmHg. We were unable to confirm our previous finding of improved endothelial function with vitamin D supplementation, although such an improvement subsequent to vitamin D administration has also been seen in participants without type 2 diabetes mellitus . Although small study numbers limited the statistical power of our study to demonstrate a difference in FMD, it is less clear why the magnitude of the effect was smaller than that observed in our previous study; participants had similarly impaired endothelial function in both studies, and had similar blood pressure and baseline 25OHD levels. Although the mechanisms by which vitamin D may affect vascular health are not well elucidated , more patients in the current study were taking statins and ACE inhibitors at baseline; vitamin D can block renin production in animal models  and has been postulated to have actions similar to statins , perhaps by inhibiting uptake of cholesterol by macrophages and reducing foam cell formation . Thus the mechanisms by which vitamin D improves endothelial function may have already been actuated by other medications; indeed cholesterol levels were well controlled and neither renin or aldosterone levels changed significantly with vitamin D supplementation in the current study. This finding also argues against the possibility that reduced renin levels drove the fall in blood pressure observed in this study. Several studies have demonstrated that vitamin D can improve insulin resistance in patients with prediabetic states including insulin resistance and impaired glucose tolerance [10, 11, 25, 26]. However, studies examining the effect of vitamin D on insulin resistance and glycaemic control in patients with established type 2 diabetes have been negative [9, 10], and the large Women’s Health Initiative study  found no reduction in new diagnoses of diabetes in participants receiving calcium plus a small (400 IU per day) dose of vitamin D3. Similarly, a post hoc analysis of the large MRC RECORD trial of calcium and vitamin D supplementation showed no reduction in self-reported new-onset diabetes or new-onset use of insulin or hypoglycaemic medication, despite the vitamin D dose in this trial being 800 IU per day . Left ventricular hypertrophy is known to be common in patients with type 2 diabetes and is reflected by elevated levels of BNP . BNP is also associated with silent myocardial ischaemia in patients with type 2 diabetes mellitus  and an inverse association exists between 25OHD levels and BNP levels in heart failure patients  and in patients referred for coronary angiography . Reductions in BNP levels subsequent to vitamin D supplementation could therefore be due to reductions in blood pressure with consequent beneficial effects on left ventricular remodelling; they could also be due to anti-ischaemic effects on the myocardium. The effects on BNP are unlikely to be a chance finding; similar effects were seen with vitamin D supplementation in a trial of older patients with chronic heart failure due to left ventricular systolic dysfunction . BNP is known to be a significant predictor of future cardiovascular and all-cause mortality in patients with type 2 diabetes ; thus interventions that improve this marker could potentially confer prognostic benefits. This study, combined with our previous meta-analysis of vitamin D studies, suggests that hypertensive patients may benefit from vitamin D intervention. The magnitude of blood pressure reduction in our two diabetes studies was consistent, suggesting that hypertensive patients with type 2 diabetes would be a good target for larger trials of vitamin D therapy, focussing on whether vitamin D can reduce cardiovascular events and cardiovascular deaths. Further work is also needed to test the effect of longer-term, repeated dosing of vitamin D and to establish whether still larger doses of vitamin D are required to produce useful improvement in glycaemic control. Our thanks go to all the participants, to L. MacFarlane (University of Dundee) for laboratory analyses and to R. Price (University of Dundee) for assistance with the dietary questionnaire. Thanks also to Merck for providing vitamin D and placebo oil. The study was funded by Diabetes UK, grant number 06/0003429. M. D. Witham is funded by a Scottish Government NES/CSO Clinician Scientist Award. J. A. Sugden, M. D. Witham, A. D. Morris and A. D. Struthers currently or have previously received grant funding from Diabetes UK, Chest Heart and Stroke Scotland, Chief Scientist Office, Scottish Government, Heart Research UK and ME Research UK to support research into the cardiovascular effects of vitamin D.